Misogyny is a hot topic. But it’s not yet well-understood. What is misogyny, exactly? Who deserves to be called a misogynist? How (much) does misogyny work in the contemporary US context, and (why) is it still happening? This book is an exploration of misogyny in public life and politics, by a moral philosopher and writer. It argues that misogyny should not be understood primarily in terms of the hatred or hostility some men feel toward women generally. Rather, it’s primarily about controlling, policing, punishing, and exiling the women who challenge male dominance. And it’s compatible with rewarding ‘the good ones,’ and singling out other women to serve as warnings to those who are out of order. It’s also common for women to be treated, and burned, as scapegoats. The book examines recent and current events such as the Isla Vista killings in May 2014, Australian PM Julia Gillard’s ‘misogyny speech’ before parliament in October 2012, and Rush Limbaugh’s diatribe against Sandra Fluke - who wanted oral contraceptives covered under health insurance at a religious institution - in February 2012. It goes on to argue that these events, among others, set the stage for the 2016 presidential election. Not only was the misogyny leveled against Hillary Clinton predictable in both quantity and quality, it was predictable that many people would forgive and forget Donald Trump for sexual assault and harassment. 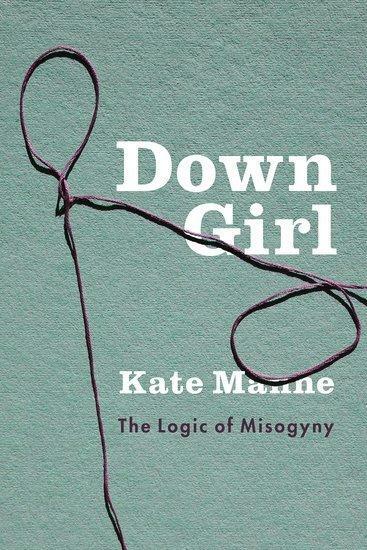 For this, Down Girl argues, is misogyny’s oft-overlooked and equally pernicious underbelly: exonerating and showing ‘himpathy’ for the men who dominate, menace, and silence women.